8×8 wheeled Armoured Personnel Carriers have been around since the 1950’s. For many decades they were either cast or welded steel construction offering little protection, limited upgradeability and up-armouring. They were also limited in the roles they could do. Perfect examples are the LAV and Russian BTR series. Within the last few years this has all changed with the introduction of 8×8 wheeled Armoured Modular Vehicles such as the Patria AMV and BOXER. They can be fitted with mission/variant role modules. The modular construction normally allows them to be easily up armoured. Their chassis, engine and suspension are capable of accepting these upgrades with out significant loss in mobility. 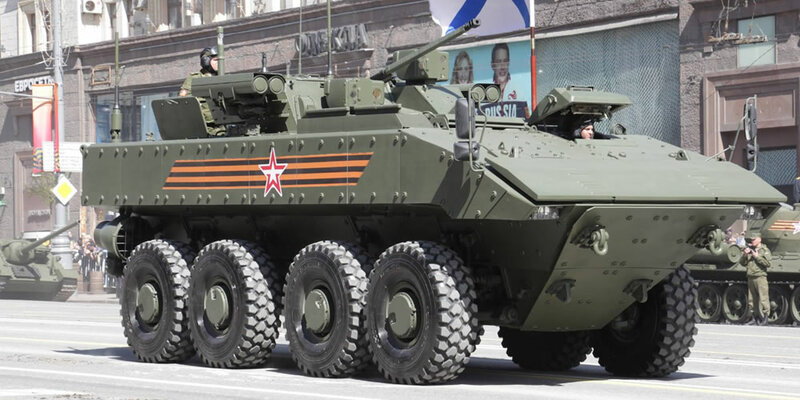 The Bumerang is an 8×8 wheeled Modular Armoured Fighting Vehicle and one of Russia’s most recent AFV’s unveiled during the 2015 Moscow Victory Day Parade. The Bumerang is still under development and pending trials. During the 2015 Moscow Victory Day Parade, 2 variants were on display, the Armoured Personnel Carrier and Infantry Fighting Vehicle. Though during the actual parade the turret was covered in blankets, pictures taken afterwards clearly show the vehicle fitted with the Boomerang-BM Turret as used on the new tracked Kurganets-25 IFV. The APC version is equipped with a Remote Weapon Station, which can be equipped with various calibre Machine Guns, but is featured in pictures as a PKT 7.62mm. It will be operated by most likely the vehicle commander remotely at his station and will probably have day and thermal channels on its sighting equipment. 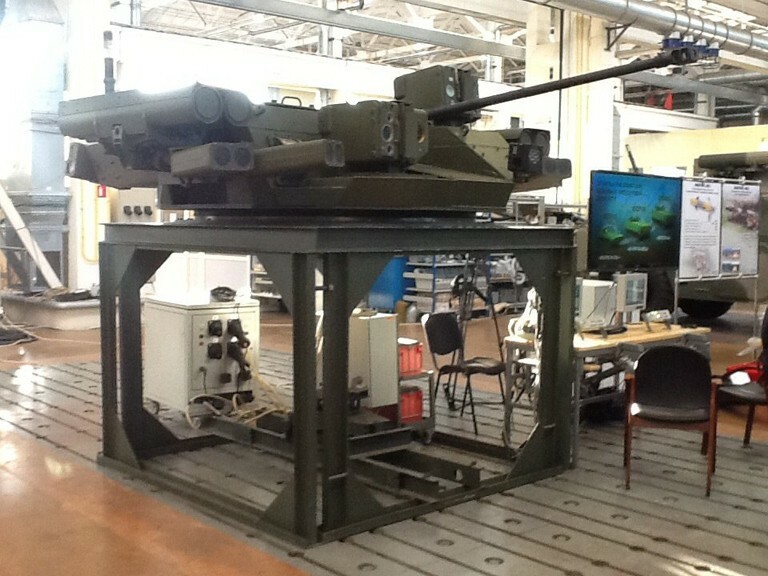 This RWS is the same one used on the Kurganets-25 APC. The driver is located at the front left with the engine compartment to his right and set back slightly judging by the air vents. The turret or RWS is located centrally. Behind is the infantry section compartment and exit the vehicle through the rear. Their compartment has roof hatches. there are 2 propellers on the rear of the vehicle to manoeuvre in the water. There are non of the old BTR features such as exiting the vehicle through doors between the 2nd and 3rd wheels, though on the left side there is a ladder and small hatches to climb on top of the vehicle.